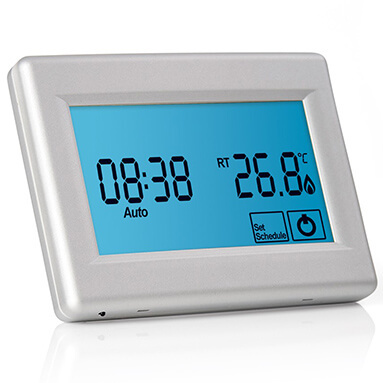 ProWarm ProTouch is a programmable touchscreen digital thermostat. It's one of the most sophisticated thermostats around. The ProTouch is able to use floor, air or combination sensors to control the temperature. It's fully programmable for each individual day of the week. Full installation and programming instructions are provided with the thermostat, or you can download the Prowarm ProTouch thermostat instruction manual here.